Commercial overhead doors are different than residential garage doors in a variety of ways. It isn’t just the size that’s different. The lift-type for commercial overhead doors isn't the same as those for residential garage doors. Most residential versions use a standard or low headroom lift type. Commercial overhead doors use a standard lift, a high lift, or a full vertical lift. There are a number of differences in not only the types of commercial overhead doors available but in their construction as well. A commercial overhead door of the Lansing should offer quality construction backed by a hardware warranty. Commercial versions of overhead doors require hardware that can withstand multiple openings and closings throughout the workday. A heavy-duty spring system is used and will hold up to the average 25 to 50 openings per day, versus the average of 2 times per day for a residential garage door. The metal tracks are constructed using a much thicker steel than what's used for residential doors. 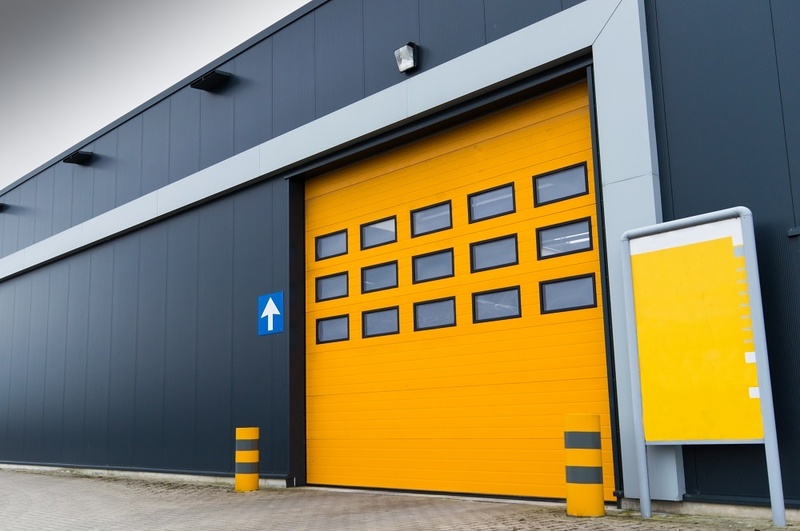 Additionally, commercial overhead door installation calls for a connection to a 115, 220, or 575-volt electrical system, compared to residential overhead doors that need a 115 volt. Commercial doors are also required to meet federal OSHA safety precautions, so they also need regular maintenance and the skills of a technician experienced in overhead door repair. Each type of business has different specifications required in an overhead door in Lansing, and there are a wide array of types available. 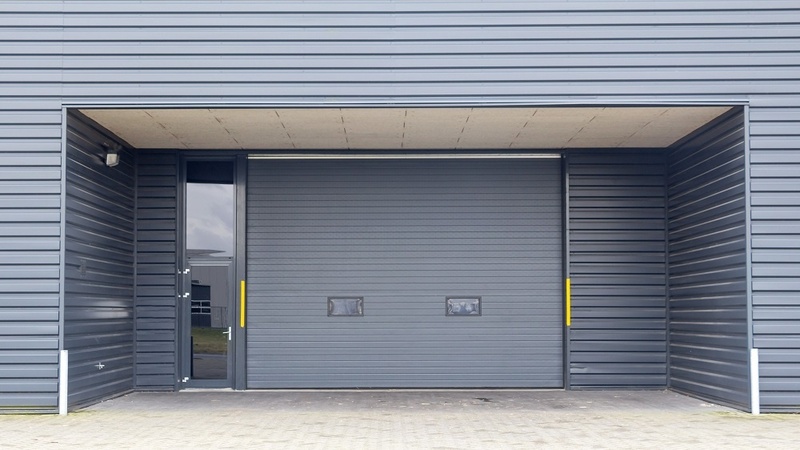 This type of commercial overhead door accounts for about 75 percent of those sold on the market. These types of doors are known for both their insulation and sound reduction and are popular in both the commercial and industrial sectors. Most of these doors are available in heavy-duty steel, lightweight-but-durable aluminum, and offer a long-lasting, cost-effective solution. Insulated versions using either polyurethane or polystyrene insulation are used for climate-controlled warehouses or any building where energy efficiency is a goal. Available in a variety of colors and embossed and surface patterns such as flush or ribbed stucco and woodgrains, they offer a clean, attractive appearance. Also available in a security grille style, or in aluminum or steel construction, rolling doors are used on interiors and exteriors for both security and weather protection for commercial, industrial, institutional, and many other installations. Most are constructed using interlocking flat or curved slats that wrap around a drum as they're opened or closed and often offer enhanced security features. High visibility combined with security make this attractive style popular in not only retail and institutional environments but also in secure areas such as an airport. Their construction allows for air flow. Adaptable to just about any environment, security grilles are offered in a side-folding style with a variety of finishes to fit with the surrounding decor. Top material choices for this type of overhead door are either 22-gauge stainless steel or 18-gauge aluminum allowing for a long service life. They're versatile in their opening and closing capabilities and offered with manual crank, chain hoist, manual push-up, or electrical motor operation. Business owners often customize these types of doors with their company’s logo. They're also available in a variety of colors and finishes. As a 20-year business offering all services for the overhead door of Lansing market, we invite you to visit our website at ingstrupconstruction.com for more information.